All Ernestine wants for Christmas is John. Except he’s the boss and won’t be tempted. There’s nothing like a little office romance to warm up the Holidays. 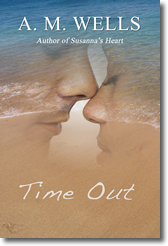 A couple in crisis…on the verge of losing it all…will a time out reignite the flames of lost passion.